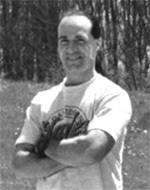 Biographical: He was racing in the first round of eliminations in the Top Sportsman category against Bob Mandell. After crossing the finish line at 160 MPH, Alexander lost control and darted in front of Mandell, who T-boned into Alexander's car. The collision caused Alexander's car to flip and land on the guardrail. Mandell was unhurt, but Alexander succumbed from his injuries. Alexander was from Harvest, Alabama. Biographical: He lost control of his car after crossing the finish line. After crashing into a barrier he was thrown from the vehicle. He lived in Bethlehem, Lower Nazareth Township, Pennsylvania, and had been drag racing since 1986. He was survived by his wife, Lori, a daughter, Tenesha, and stepson, Thomas Rollins Akins. 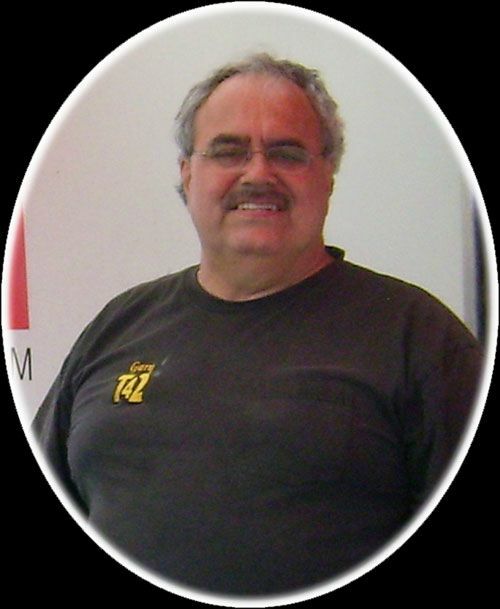 He was employed as an auto mechanic in North Plainfield, New Jersey. 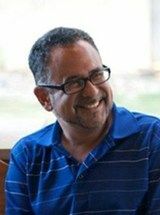 "New details emerge in fatal drag racing crash that claimed Lower Nazareth Township man," LehighValleyLive.com, May 26, 2014. 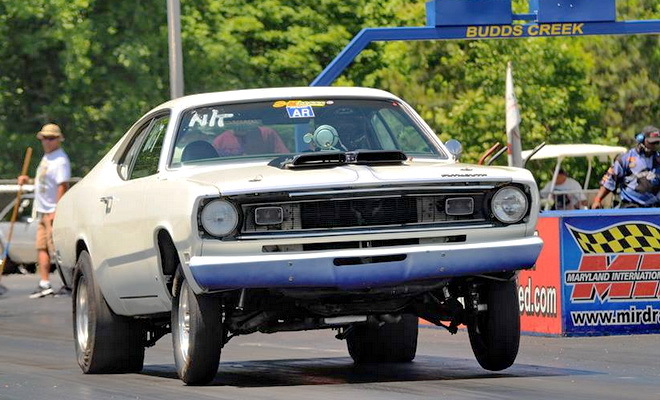 "Veteran racer Lamont Akins killed in tragic crash in Maryland," Dragzine.com, May 27, 2014. Biographical: While making a practice run prior to the fourth round of eliminations in the Modified A division, he crashed. A brake failure may have caused the accident that occurred after crossing the finish line. He slammed at full speed into a wall and rolled over. He was killed on impact. He was born in El Salvador. 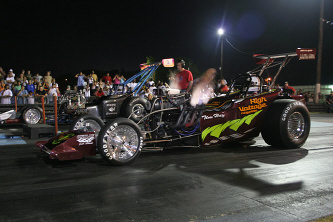 Biographical: During the first round of eliminations of Super Pro, he was racing Tim Nimmo's dragster. He continued speeding after crossing the finish line at a speed estimated at 150 to 160 MPH. He went through the sand trap, the safety net, through a gravel area, and over a berm into a canal. He was transported to St. Mary's Medical Center where he later died of his injuries. He lived in Palm Beach Gardens, Florida. This photo was taken of Baxter on his last run, a fatal run. 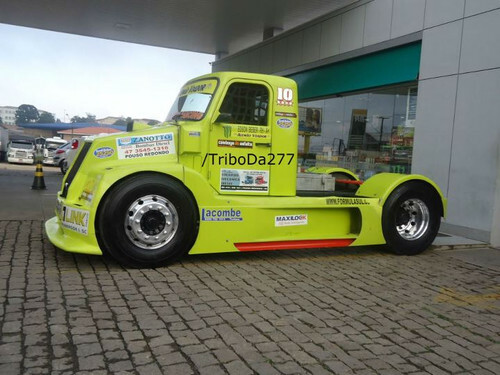 Biographical: He died in a crash that occurred after crossing the finish line on a scrape-surfaced beach traditional truck drag race. Biographical: He died from injuries caused by a crash. He lived in Breckenridge, Texas, and was survived by his wife, Tracey, and two sons. Biographical: In this tragic accident, the young Australian girl had just turned eight years old only three days before making a licensing run in her new Junior Dragster. She lost control and hit the concrete retaining wall. She was transported to a Rockingham hospital and from there, to Prince Margaret Hospital, where she died from her severe injuries. "8-year old Australian Junior Dragster racer tragically killed in crash," DragZine.com, Nov. 12, 2017. Biographical: He was killed while racing his small pickup truck on this 1/8th-mile strip. The racer in the other lane veered into Bryant's lane, rear-ending his truck, causing it to go into the other lane and flip over. He died while being transported to a Montgomery hospital. He was from Montgomery. He was survived by his wife, Angela, and two children. Biographical: The throttle reportedly jammed at the end of the drag strip. He was unable to make the first turn at the end of the main straightaway, slammed into a concrete wall, turned over, and caught fire. Riding with him was his friend and co-driver, Daniel King, who also was killed in the crash. Bull was from Palmview, Queensland, Australia, and was survived by his wife, Janelle, and two daughters. Full Name: Daniel Robert Cerio, Jr.
Biographical: Racing his modified snowmobile during eliminations, he slammed into two walls at a speed of over 170 MPH. His snowmobile went over the second wall and he died at the scene. He was from Manlius, New York, and was survived by his parents and two siblings. Biographical: He crashed into the barrier wall and his car burst into flames. He spent ten months in a hospital burn unit until succumbing from his injuries. He was survived by his wife, Evelyn, who brought suit against the race track. He resided in Brooklyn, New York. Biographical: He had just completed a final qualifying run in 4.130 seconds. 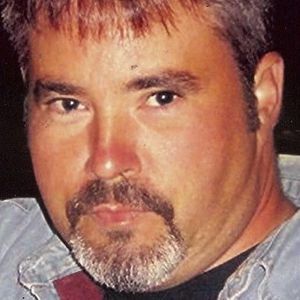 His car veered left, then shot back across the track into the other lane and in front of Mark Malcuit's Camaro. The car vaulted over the right guardrail and began barrel-rolling. He was first transported to FirstHealth Moore Regional Hospital in Pinehurst, then airlifted to UNC Medical Center in Chapel Hill where he died the following day from his injuries. Ian Tocher, a photographer/journalist covering the race was injured. 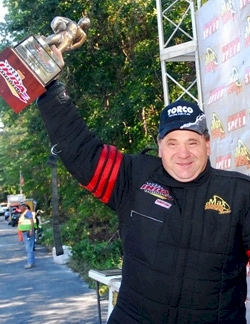 Davis was the current PDRA Top Sportsman champion and lived in Suwanee, Georgia. Biographical: He crossed the finish line traveling at a speed of 132 MPH when his car veered sideways and he rolled over several times. The car burst into flames and attempts by track safety personnel to revive the young man were unsuccessful. His parents, Paul and Tanya, also racers, witnessed the accident. He was from New Road, Billingham, Cleveland. Biographical: During the second round of eliminations, which he won, he failed to stop, going off the end of the strip. He had been clocked at 146 MPH before he plowed through the sand trap and safety netting, coming to rest in some trees. His parachute never deployed on the 1/8th-mile track. He was from Tazewell, Virginia. Biographical: He had qualified with a 5.92 for the event. He was racing Matt Bynum in the "Nitro Nick" funny car during eliminations at night when he crossed the center line around the 300-foot mark. The cars made contact causing the bodies of both cars to be torn from their chassis in the resultant crash. Garten was transported by ambulance to Kern Medical Center where he succumbed to his injuries early Sunday morning. Bynum was not injured. He retired from drag racing in 1975 after winning the NHRA Division 7 championship in the original "War Horse" funny car. 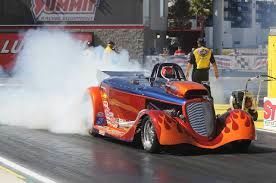 After retiring from a career in the construction industry in 2010, he got back into drag racing with his former partner, Mike Tocco. 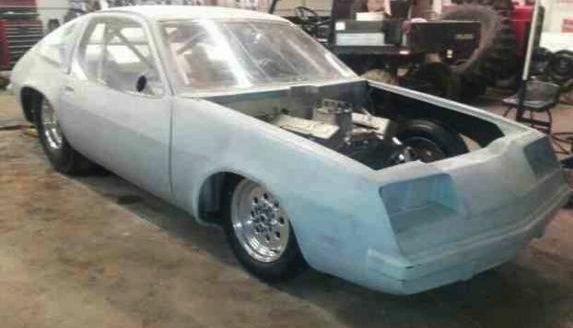 They built a new "War Horse" and campaigned in with success in nostalgia funny car events. He was a native of Fallbrook, California, and was survived by his wife, Carlene. Nickname: "John Canada" or "The Canadian"
Biographical: He was a very experienced drag racer in the Super Twin Top Gas motorcycle ranks. 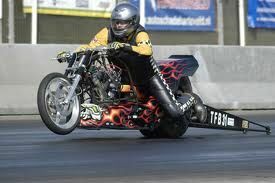 He was driving his new top fuel Harley bike which he had been testing for several months on various drag strips. He was making his final run of the day down the 1/8th mile track when the engine exploded about 100 meters from the start. The explosion was so great that the cylinders and head were lifted from the block, breaking the upper frame. Efforts were made by safety personnel on the scene to save his life, but he succumbed. Biographical: While racing Jason Kenney in the first round of eliminations, he crossed into the other lane past the finish line. The car hit the retaining wall on the other side. He was transported to Cooper Hospital in Camden where he succumbed from his injuries nine days later. He was from Colts Neck, New Jersey, and was survived by his wife, Karen, two sons and a daughter. He owned an auto parts store in Staten Island, New York. Biographical: After crossing the finish line, he lost control of his car. 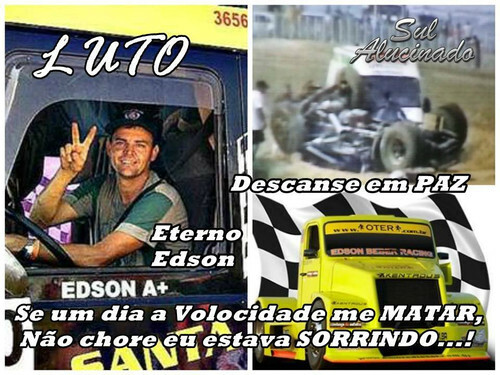 It crossed over the track, hitting a grass embankment, after which the car rolled several times, while ejecting him. He was from Mason, Ohio. Biographical: He apparently suffered a heart attack while competing in the final round of the Eliminator 2 class. He was paired against Jason Scott and shortly after leaving the line, slumped over, and drug along the guardrail until stopped by the final barrier of the track. He was given CPR by paramedics at the track and transported to the Temple hospital where he was pronounced dead. He resided in Wichita Falls and was survived by his wife, Sharon, and children. Biographical: From Wilmington, North Carolina, he died after crashing on his motorcycle at a race on Saturday night. Biographical: He was making a single run when he lost control at over 200 MPH and rolled numerous times. He resided in Granite Falls, Louisiana, and was survived by his wife, Candis, and children. Biographical: His car was on a good run in the final round. At about 300 feet, he smoked the tires, went sideways, and ran head on into a guard rail. He rolled several times. He died from injuries suffered in the accident. 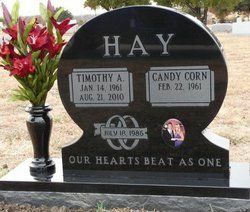 He was from Burleson, Texas, and was survived by his wife, Candy, and children, Shawn, T.J., and Kristen. Biographical: During the opening round of qualifying, it is suspected that his throttle hung open after finishing his run. He lost control and slammed into the guardrail. He was transported to Kern Medical Center. His injuries were too severe and he passed away the following day. He was from Wichita, Kansas, and was survived by his wife, Laura, and two daughters and one son. "Wichita drag racer was part of nationally known racing family," Wichita Eagle, Oct. 23, 2017. "Fuel alterd racer Brett Henry succumbs to injuries in CHRR crash," DragZine. 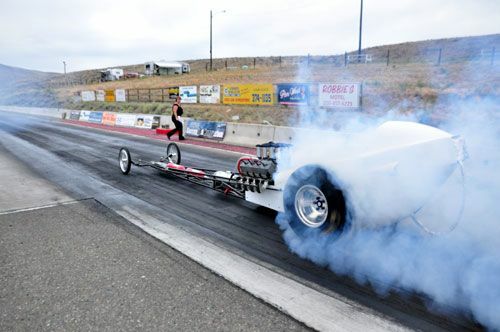 Biographical: He was testing his new dragster at the 1/8th mile drag strip when he went off the end of the race track. Witnesses reported that his car did not appear to slow down at the end of the run and his chutes did not deploy. He was airlifted to Kelowna General Hospital where he succumbed to his injuries. He was survived by his wife, Clara, and son and three daughters. Biographical: During the third qualifying session, his car lost control just before reaching the 1/8th mile finish. It first slammed into the right guard wall, careened across the track and hit the left guard wall, and then went into a series of barrel rolls. He was transported to First Health Richmond Memorial Hospital in Rockingham where he was pronounced dead shortly after the accident. He was from Glen Allen, Virginia, and was driving a car owned by Enoch Love. He had driven for Love since 2004. He was survived by his wife, Vaness, and two daughters. Biographical: He lost control of his car at over 200 MPH while making test and licensing runs. The car rolled several times, crashed into a barrier, and then finally crashed into several vehicles. He was transported by helicopter to a hospital where he succumbed to his injuries. He resided in Albuquerque, New Mexico, and was survived by his wife, Ruth, and a son and daughter. Biographical: He was clocked at 186 MPH at 1,000 meters. For some reason, he did not slow down, but gained speed. His car slammed into a concrete barrier, hurtling through the air into a field where it overturned several times. Bystanders deemed the race track too short for Kern's speed. Airbags failed to deploy on impact. There were over sixty drivers at the event from Russia, Ukraine, Estonia, and Transistria. Kern was timed at 9.8 seconds, setting a drag race record in Russia. Kern was the owner of a performance automotive business in Moscow called Turbo Drive. 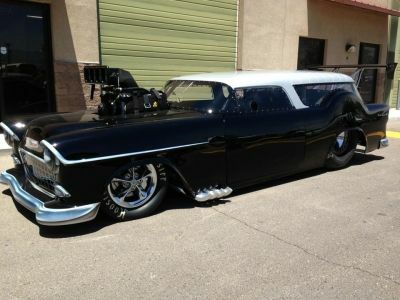 Biographical: He was riding as a passenger co-driver in the highly modified car of his friend, Kurt Bull. The throttle reportedly jammed at the end of the drag strip. He was unable to make the first turn at the end of the main straightaway, slammed into a concrete wall, turned over, and caught fire. King was from Mountain Creek, Queensland, Australia. 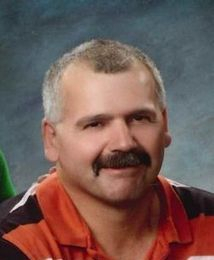 Biographical: Andrei Siderov wrote: "At first, I want to say thank you for your site as it's excellent tribute for drivers who lost their lifes while doing that they love. I want to made some contributions to your website as it's currently missing some drivers from former Soviet Union. Defending Kazakhstan drag racing champion Andrey Kulemzin was killed on 30 June 2012 during first round of national championship in Boroldai Motorplex, located at Almaty, capital of Kazakhstan. Kulemzin won his race with result on 9.8 seconds, which became new record on 402-meter drag line, when his BMW M3 E30 left out the control on speed about 240 km/h, skidded and rolled several times. Despite roll cage withstood accident, seatbelts failed and Kulemzin was thrown out from car and landed about 50 meters from wreck. Event was immediately stopped; Boroldai Motorplex, located in Boroldai airport, was closed about month after his accident due to contract termination between airport management and local racing federation. Andrey Kulemzin was 28 years old, he was survived by his wife and his two-years old son." Biographical: He was traveling about 150 MPH when he lost control of his race car near the finish line. His car hit the guardrail, went airborne, and rolled several times. He was extricated from the car and rushed to Via Christi Hospital at St. Francis where he was pronounced dead. He was from Fort Worth, Texas. Biographical: A wishbone reportedly broke causing his car to slam into the retaining wall. He was transported to Pitt Memorial Hospital in Greenville to treat what was initially thought to be broken bones, but they discovered he was bleeding internally. He unfortunately passed away. He resided in Elizabeth City, North Carolina, and was survived by his wife, two daughters, and a son. Biographical: While racing on the 1/8th-mile track, his car went out of control and he crashed into a barrier at the end of the shutdown area. He was going an estimated 100 MPH at impact. It is thought he may have suffered a heart attack during the fatal run. He was survived by his wife, Sheryl, and two children. Car: 1967 Camaro "Mighty Mouse"
Biographical: His car failed to stop before slamming into a safety net and water barrels at the end of the 1/8th mile race track. Police investigators preliminary stated that the cause of the crash was mechanical in nature, but were going to investigate further. The race track reportedly had recently had to shorten its shut-down area because of road construction on North Lake Houston Parkway. They had to give back some easement, which necessitated eliminating the pea gravel sand trap and additional safety nets which had been in place at the end of the race track before. Questions were raised about whether this had played a part in the fatal accident. He resided in Houston and was survived by his wife, Amber, and son, David, and other family members. Biographical: She was killed while making an exhibition run. Her parachute did not deploy and she made contact with the wall in the right lane. Investigators believe that a piece of debris from the timing light that she hit may have contributed to her fatal accident. She lived in Sarasota, Florida. Biographical: While racing against Chuck Waid, he made an abrupt turn to the right after crossing the finish line and crashed into a guardrail while traveling at 151 MPH. He was pronounced dead at the scene. He was from Cleveland, Ohio. Biographical: He was making a single pass, traveling at an estimated 120 MPH when his car veered into the guardrail at about the 1,000-foot mark. The impact split the car in two with the front part of the car slamming into a tree and the rear part staying on the race track. He was a resident native of Killeen, Texas, and was a sergeant in the U. S. Army. Biographical: He won the semi-final eliminations and deployed his parachute but the chute snapped and he sped past the shutdown area into the sandtrap at the end of the track. After he slammed into the catch netting at the end of the sandtrap, it buckled the chassis back into the driver compartment. He had been clocked at 271 MPH. He died at the scene. He was from Phoenix, Arizona, and was survived by his wife, Tanis, and two married daughters, Cory and Samantha. 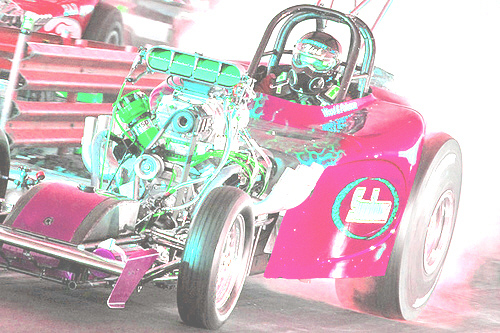 He was a 30-year veteran drag racer and had two national event victories in Top Alcohol Dragster. Mark Niver, on left, on his fatal final run. Biographical: When he lost control of his car, it left the track, flipped over, and landed on vehicles parked along the side of the track. A man and his young son were also injured. He was survived by his wife, Chanda, and son. 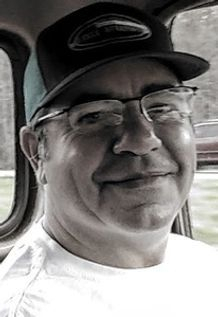 He was a maintenance supervisor for the South Carolina Department of Transportation and lived in Easley. Biographical: He was going about 140 MPH when he lost control of his race car, bounced off one wall, and flipped over onto the roof. He was taken to Florida Hospital East where he was pronounced dead. He lived in Orlando and was survived by his wife, Sammi. Car: TA/FC 2005 Chevrolet Monte Carlo "Excavator"
Biographical: After being clocked at 249 MPH on a qualifying pass he sped through the shutdown area. There are conflicting reports on whether he deployed his chute or not, but early indications are that the chute may have malfunctioned and not deployed. An investigation may be able to determine that. He sped into the sand trap and through the safety net at the end of the race track. He was pronounced dead at the scene. He was from Millville, New Jersey, and was survived by his wife, Betsy Jo. Biographical: He lost control of his motorcycle traveling about 100 MPH and crashed into a guard rail. He was transported to Lodi Community Hospital where he was pronounced dead on arrival. He was from Perry Township, Ohio, and was survived by his mother, step-father, sisters, and partner, Rachel Boley-Hinkle. Biographical: He had crossed the finish line during time trials in the evening, but his car pulled to the left and hit the guardrail at over 100 MPH. It was his second run of the event. He was the only car on the track during the crash. Rambo, from Napa, had built the race car with his son. Biographical: Ritter was racing another cyclist on the 1/8th-mile paved strip. His rear wheel locked up after crossing the finish and he slammed into an empty school bus parked near the track. He had been clocked at 97 mph. 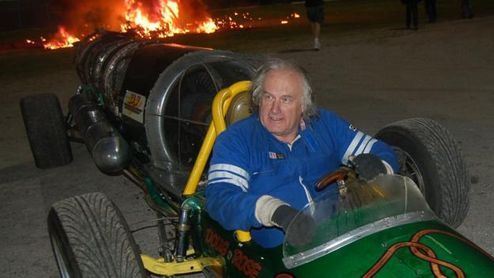 Biographical: Rose was killed when he lost control driving his jet dragster during an exhibition at an oval speedway track. He lost control rounding a curve. He resided in Ring Town, Pennsylvania. Biographical: He died as the result of injuries sustained in his accident, succumbing five days later while in a coma. He was at about the 1,000 foot mark when the car suddenly made a hard left and crashed into the wall. He resided in Yuma, Arizona, and was survived by his parents and sister and racing partner, Jeffrey Nolte. He was originally from Albuquerque. He was studying at the University of Arizona to try to get his master's degree in library science. 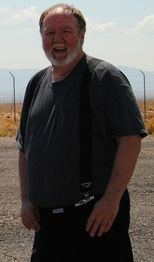 He was employed by the Yuma County Library District. 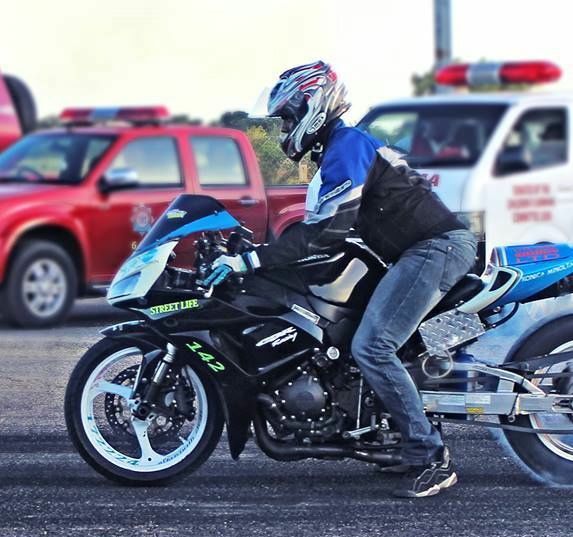 Biographical: He lost control of his motorcycle near the finish line of this airfield drag strip shortly after midnight, crashing into a concrete barrier. He was thrown some distance into the air and was killed on impact. 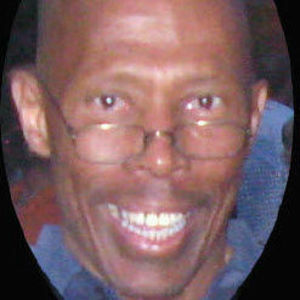 He resided in Freeport in Trinidad and Tobago. He was not wearing proper safety clothing as safety standards were not being enforced at this unsanctioned event. He and other racers had been providing entertainment for attendees at the car show. Some news reports mistakenly stated that his given name was Nadir. Biographical: A dangerous dip in the asphalt at the end of the quarter-mile track was thought to be a contributing factor in Sirjoo losing control of his car. 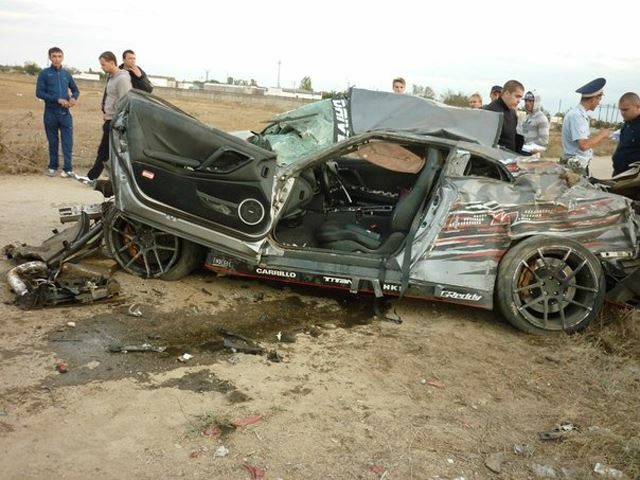 He crashed at over 100 MPH, hit a pole, and overturned several times. 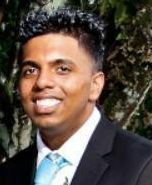 He was transported to Arima District Hospital where he succumbed from his injuries. A Coast Guard veteran from Sangre Grande, he had been racing for five years. 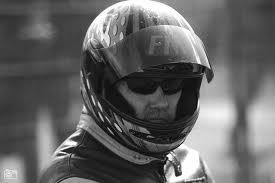 Biographical: He was participating in an accredited motorcycle drag race training school class on the drag strip. Upon returning to the staging area on an access road behind the raceway's drag strip, he lost control of his motorcycle and struck a cement barrier. He resided in Clayton, Ohio. Biographical: He died when his drag car crashed into a wall during the opening day of the 2-day Summit Sportsman Series race. About 1,000 people witnessed the accident during the morning time trials. 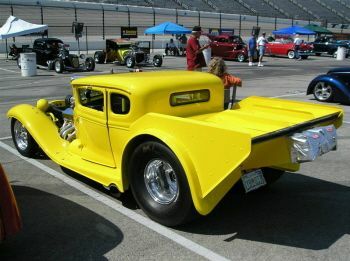 He was entered in the supercharged outlaws category. The competition was suspended for the rest of the weekend race. "Competitor killed at ANDRA meeting," speedcafe.com, Jan. 21, 2017. "Competitor dies in Portland raceway crash," Illawarra Merc;ury, Jan. 22, 2017. 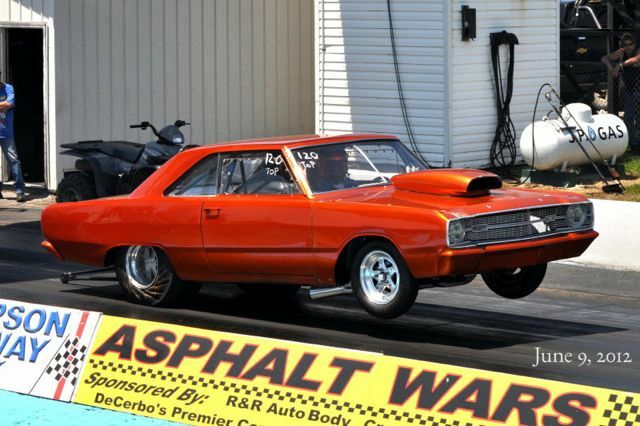 Biographical: He had been timed at over 140 MPH, but had slowed to about 90 MPH when his car left the race track, hit a mound of dirt, and went airborne. His car hit the top of some trees about twenty feet high before landing in the woods. He was transported to Lakeland Regional Medical Center where he succumbed about a week later from head and neck injuries suffered in the accident. He lived in Tampa. 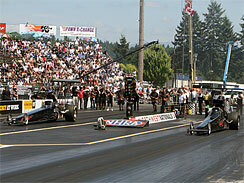 "Drag racer dies from crash-related injuries," Washington Times, Apr. 14, 2014. "Crash at Lakeland Motor Speedway injures drag racer," The Ledger, Apr. 8, 2014. Biographical: Near midnight he was racing against his brother at the drag strip and traveling at 100 MPH when his car drifted to the left. He overcorrected and the car flipped five times. He was from Moore, Oklahoma. Biographical: He died when a nitrous oxide bottle he was warming up in preparation for racing exploded and hit him in the chest. 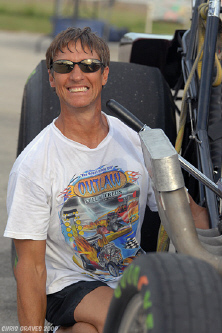 He was a co-owner of Blake Housley's Pro Nitrous team and a native of Missouri. Paramedics tried to revive him, but he was dead when he arrived at Memorial Hospital in Adel. He was survived by his wife, Melanie. Biographical: The car appeared to have handling issues after leaving the line on its first-ever pass on this track. He resided in Holly Pond, Alabama, and was survived by his parents and fiance. Biographical: He was timed at 112 MPH after crossing the finish line. He was unable to slow the car down and crashed into the barrier placed about 1,000 feet beyond the finish. Racing was done on the straightaway of the circuit. He died at a local hospital shortly after the accident. Full Name: Windle A. Webster, Jr.
Biographical: After crossing the finish line, his car failed to stop. The car veered off the left side of the track and slammed into a tree, killing him on impact. He was from Lebanon, Tennessee, and was survived by his wife, Chasity, and a son and daughter. Biographical: It was suspected that a medical condition may have caused him to lose consciousness and control of his car during a time trial run in the morning. He was from Abilene and was survived by his wife, Jennifer, and three children. He was a body shop manager at a car dealership. 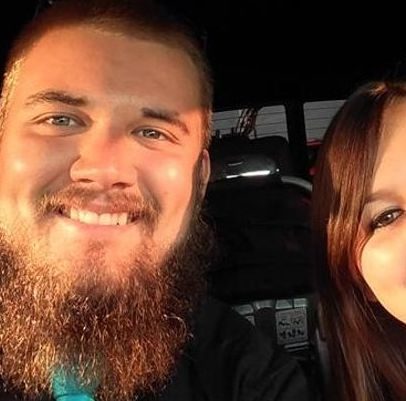 Biographical: He was traveling at about 160 MPH during time trials on a modified snowmobile owned by the family of the young lady he was planning to marry. The sled hit a guard rail and he was thrown off, landing about 300 feet from the vehicle. He was pronounced dead at the scene. He and Joanna Dote had been dating for eight years and were planning to marry in June 2111. He was from West Edmeston, New York, the son of James and Lynette Wilcox. 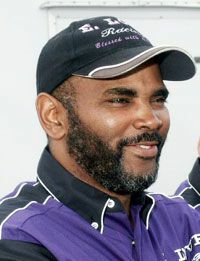 Biographical: Williams was racing his car against a Mustang, driven by Aki Gatson, at about 11:00 P.M. After crossing the finish line, the Mustang slid and veered over into Williams' lane, hitting the T-Bird. In the resulting collision, both vehicles vaulted over the cement barrier wall and hit a tree. Williams was thrown from the car and killed instantly. 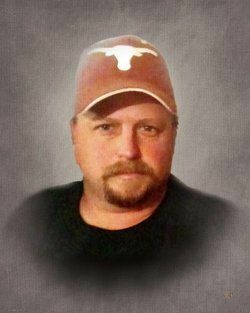 He lived in Burleson and his fatal accident was seen by his wife and two children. Biographical: He died of injuries suffered in a crash at a drag race at the old Miri airport. Full Name: Barry Lynn Wright, Jr.
Biographical: He was racing in the right lane against a Mustang driven by Tara Lee Griffin, a Summerville woman. When her car started to spin, it clipped the pickup truck, causing both vehicles to hit the guardrail. After hitting the guardrail, the truck flipped over the retaining wall and hit a light pole. Wright was pinned inside and died from positional asphyxia. Wright was from North Charleston, South Carolina, and was survived by his mother, Geneva, and son, Fredrick "Chase" Wright. 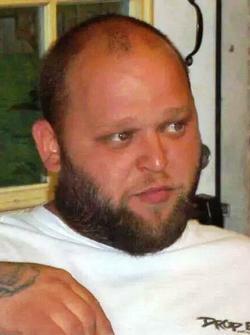 "Driver killed in Dorchester Co. drag race accident identified," WCSC Live 5 News, Nov. 7, 2011. 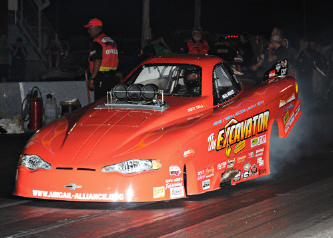 Biographical: He was racing during the opening round of Super Pro eliminations. His car got loose near the finish line, crossed the centerline, hit the guardrail, and flipped over several times. From Bedford, Indiana, he was survived by his wife, Kim, and son, McColley.